This page has been introduced to allow readers who have either friends or family who at one time were residents of Farina or the district, to request information on them from the group or any other member of the public. If you have information that is relevant to any request for data seen on this page, please contact us, and help us all to build up a better picture of life in the early days of Farina! Your request should be sent to either the Webmaster or News Editor via the contact forms on this site. On receipt of your request, we will publish any available relevant information to your request on this page, and copy you direct via email. We hope that in publicising your request, and replies from our own files, or from interested readers who are in possession or relevant data, and who have advised us via the site contact forms. In an effort to maximise the security of your email address, we will NOT publish addresses on this page. Relevant details will be communicated via personal emails. These paragraphs in the Bakery Page (“The Bakery and more”) contain the only reference to the bakers that endured this hostile place and we would appeal to anyone that may have any record at all of life in this little bakery or any others of the era to contact US via his contact form on this web site. I am trying to find out some information about my Grandfathers family who are originally from Farina. My Grandfathers name was Geofrey Benjamin Martin born in Farina in 1930 to Thomas Benjamin Martin and Evelyn Mabel Reid. I was wandering if you have any suggestions of where I may be able to find some old pictures and any further information on my family so I can continue to track back. So far, we have nothing on Geofrey Martin, however since Martin is not all that common as a surname, we feel that there’s a good chance that William Joseph Martin, resident of Farina, who died in Murnpeowie on March 4th, 1913 (at the age of 46) is a likely relative. His next of kin at that time was his Brother in Law P.J. Callary. We also have a record of a Henry Martin who was between 1880 and 1881, the licencee of the Transcontinental Hotel. From 1882 to 1886, Mrs Martin was the licensee! I was wondering if, while the volunteers are up in Farina from 4th May to 20th July would you have any contact with the Archivists as to my G.Grandparents place of residence in Farina (Old Govt. Gums). My Grandmother was born in Farina in late 1886. I would dearly love to know where (the actual Street address) she and her parents – Alfred and Lavinia KEY resided in the Town of Farina in the late 1800’s. My Great Grandparents. As far as I know, Mr Alfred KEY was a teamster. Perhaps he/she would have an old archival map/street plan showing where the residents lived in the 1880’s, as much work is being done in the Township. One of the Volunteers (or relatives of the original residents ) may be able to help. If Church or School records have been kept, the children of Alfred and Lavinia KEY (eg. my Grandmother – Ethel May KEY), may show on one of the Registers, giving the home address of the family. Regarding Query 2 – Alfred & Lavinia Key. I think they actually lived at Beltana mostly in the late 1800’s. I’m also a descendant of the Key’s and recently visited Farina. Can you pass on my name and email address to this person who has posted the query? I recently came across your web page searching for information on Farina. My interest in this town lies with my great Grandfather Johan (aka John) Edward Norgren b. 1861 Sweden and Great Grand Mother Elizabeth (nee Hammond) b. 1871 Mt Lofty SA. I believe they married at Government Gums/Farina or Quorn around 1890, although we cannot find any information on this. 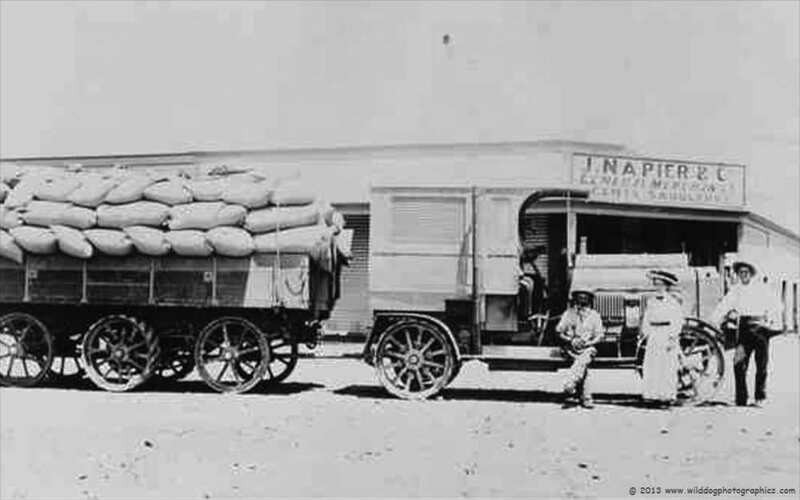 John arrived in Australia to Port Adelaide in 1878 and probably worked in the area from this time. John and Elizabeth had 1 child born in Quorn 1892, and three in Farina 1894, 1897 and 1899 with the next born in Adelaide 1902. So we know he was in the area from 1890 to 1901 approx. He was also a miner and worked the Yudanamutana Mines in 1899. I assume the children went to school at Farina. My question for you is, do you have any knowledge of this family? If not, would you like some (as limited as it is)? Additionally, I will be stopping at Farina early June on a trip I am planning. Will anyone be there to talk to? I found that someone has opened the old bakery and raising funds for the restoration works. When during the year does this happen? I commend whoever has instigated this restoration works as Farina has such a wonderful history and I for one am looking forward to stepping into the past and walking in my ancestors shoes for a time. I recently found out my grandfather Frederick John Butler was born in Farina around 1924 to a Janet Butler who then moved to a station in Oodnadatta… would love any info as i’m planning a road trip but don’t have a lot of info on that side of my family. Fred’s sister Mabel is still alive, aged 93. Hopefully you can point me in the right direction!